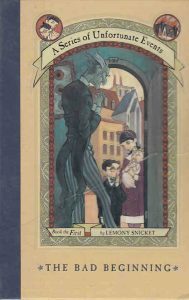 Throughout the last year, my fiancé and I have been enjoying working our way through “Lemony Snicket’s A Series of Unfortunate Event s” on audio while on vacation and visiting out-of-town family members. Needless to say, we were pretty excited when we heard that Netflix would be giving the series new life. mony Snicket used grammar and vocabulary in a humorous way and I loved the Baudelaire orphans – how resourceful and brilliant they were! When we began watching the Netflix series in January, I was struck again by a 3rd aspect of the books that had bothered me while we were listening: ADULTS. Evil – This would be the category for Count Olaf and his gang, all of those people who were actively helping him to achieve his terrible ends. Incompetent – I think Mr. Poe would fall into this category. He’s been given the task of ensuring these kids make it into safe families, but he consistently fails to do this. “Good” but Silent – There are quite a few characters who would, in other situations, probably be very likeable and “good” people. However, when they are presented with situations in which there are pretty clear indicators that something is at the very least amiss, they lean into whatever barriers they have instead of protecting these children. I feel like I care about these kids (and they’re children), so to see so many adults a) deny that there is a problem and then b) watch the misfortunes that are thrust upon them and choose to do nothing (I’m talking to you, Josephine and Charles!) is really frustrating. Maybe it’s so frustrating because I can’t help but compare this in my head to Green Dot and the situations we see and hear students talk about every day. So many of them face bullying from classmates or abuse from loved ones. When the stakes are so high, I can’t highlight the importance of knowing our options enough. I understand how difficult barriers can be to overcome. I definitely have my own with which to contend. Josephine suffers from par alyzing fear and anxiety. Charles is worried about what his partner will think or do if he does something. These are tough – they are probably two of the most common barriers we hear when we talk with high school students and adults. Aren’t there options, though? Couldn’t Josephine reach out to one of the locals for help? We know her fear does not keep her from interacting with other folks in the village regularly. Or couldn’t Charles create some kind of distraction that would at least let the Baudelaires escape? He doesn’t have to confront Sir. He can even pretend to be just as distraught once they’re gone. This does make me curious. Are there other great examples from television or movies where you’ve been frustrated by a bystander’s inaction? What are their barriers? More importantly, how could they potentially work around them next time? 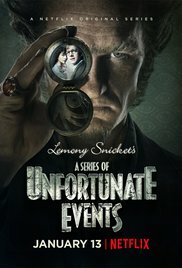 Also, now that “A Series of Unfortunate Events” has been confirmed for a second season on Netflix, I’m curious: Will inactive bystanders continue to the be the norm? !